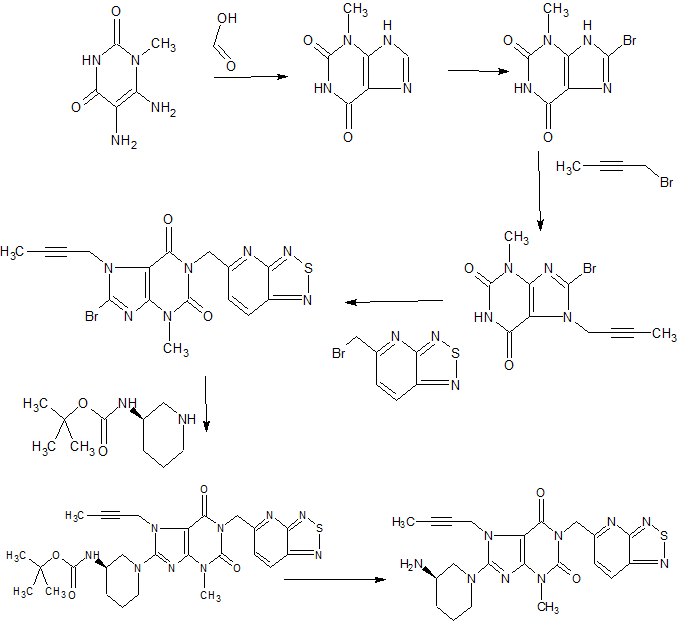 REF Bioorganic & Medicinal Chemistry (2013), 21(7), 1749-1755. 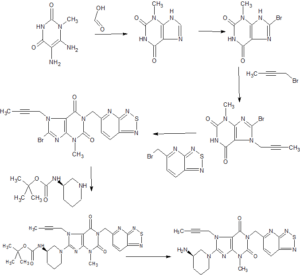 Novel polymorphic forms of thiadiazole derivatives, preferably aglucin, sitagliptin, saxagliptin, vildagliptin, levaratine, useful for treating type II diabetes. Guangzhou Institutes of Biomedicine and Health , in collaboration with Jiangsu Chia Tai Tianqing Pharmaceutical , is investigating tilogliptin , an oral dipeptidyl peptidase IV inhibitor and a pyrrolopyrimidine analog, for treating type 2 diabetes. As of June 2017, Centaurus BioPharma is developing diabetes therapy, CT-1006 and CT-1005 (in preclinical development) for treating diabetes mellitus. 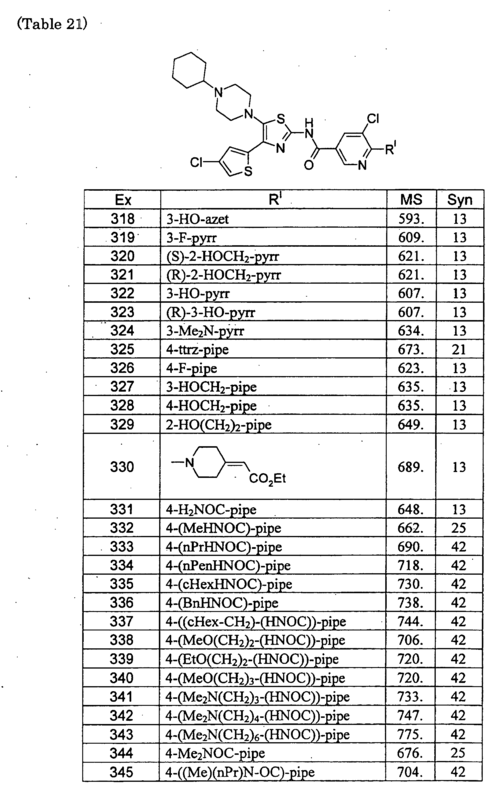 See WO2016019868, claiming novel citric acid salt of 8-((R)-3-amino-piperidin-1-yl)-1-([1,2,5]-thiadiazolo [3,4-b] pyridine-5methyl)-7-(2-butyn-1-yl)-3-methyl-xanthine, coassigned to Lianyungang Runzhong Pharmaceutical . 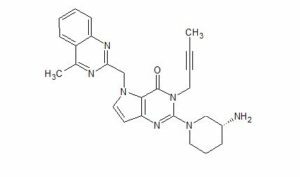 Chinese Patent Application CN102807568 discloses the use of thiadiazole derivatives DPP-IV inhibitors and their use in the treatment and / or prophylaxis of diseases susceptible to DPP-IV inhibition, particularly in the treatment of type II diabetes. 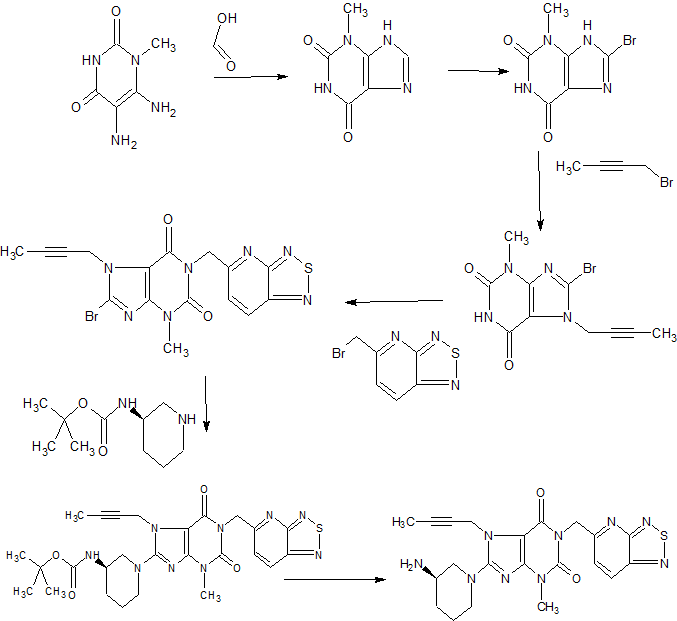 There is still a need for a good thiadiazole derivative DPP-IV inhibitor and a pharmaceutically acceptable salt thereof having good pharmacological and bioavailability. 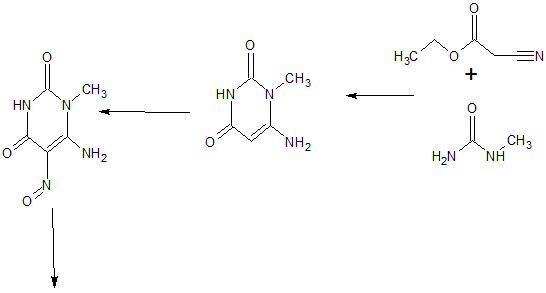 In one aspect, the present application provides 8 – ((R) -3-amino-piperidin-1-yl) -1 – ([1,2,5] thiadiazolo [3,4-b] pyridine- Methyl) -7- (2-butyn-1-yl) -3-methyl-xanthine (having the structure of the following formula I, hereinafter referred to as the compound of formula I). DPP-IV (dipeptidyl peptidase IV) is a serine protease that is expressed in various tissues (eg, liver, lung, intestine, kidney, etc.) in vivo, responsible for endogenous peptides (GLP-1 (7 -36)) metabolic cleavage. However, GLP-1 (7-36) has a variety of beneficial effects in the body, including stimulation of insulin secretion, inhibition of glucagon secretion, promotion of fullness and delayed gastric emptying. Thus, inhibition of DPP-IV can be used to prevent and / or treat diabetes, particularly type II diabetes. There are a variety of DPP-IV inhibitors listed, such as aglucin, sitagliptin, saxagliptin, vildagliptin, levaratine and so on. 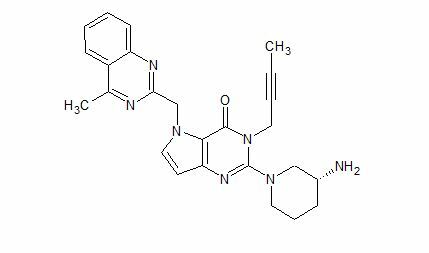 Chinese Patent Application CN102807568 discloses a thiadiazole derivative DPP-IV inhibitor as shown in Formula I or Formula II wherein said compound of formula (especially compound 7) has a very good DPP-IV inhibitory activity. 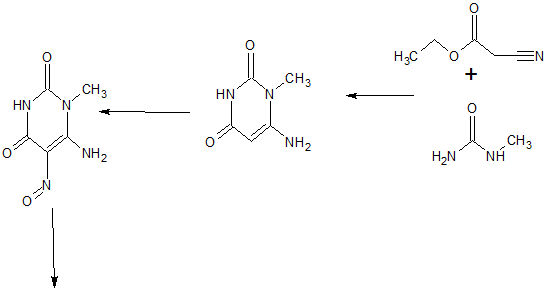 In addition, compound 7 also has a very good in vivo metabolic level and a very suitable in vivo half-life, particularly suitable as a DPP-IV inhibitor drug. 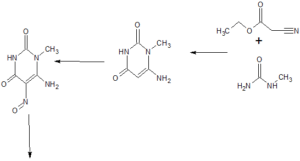 In addition to the therapeutic efficacy, the drug developer attempts to provide a suitable form of the active molecule having properties as a drug (e.g., processing, preparation, storage stability, etc.). Therefore, the discovery of the form of the desired nature of the drug development is also essential. 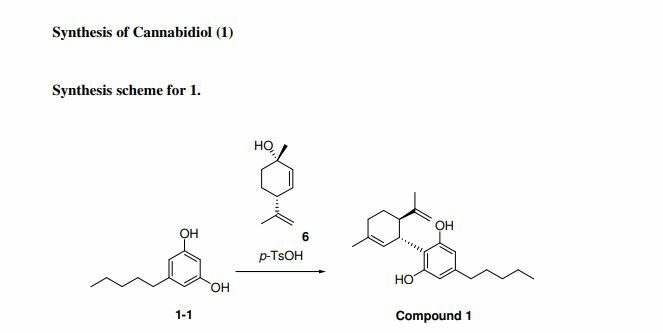 A novel dipeptidyl peptidase IV inhibitor hit (5, IC50 = 0.86 μM) was structurally derived from our recently disclosed preclinical candidate 4 by replacing the cyanobenzyl with a butynyl based on pharmacophore hybridization. A hit-to-lead optimization effort was then initiated to improve its potency. 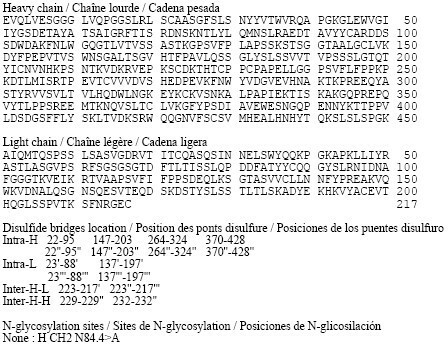 Most N-substituted analogs exhibited good in vitro activity, and compound 18o (IC50 = 1.55 nM) was identified to be a potent dipeptidyl peptidase IV inhibitor with a significantly improved pharmacokinetic properties (bioavailablity: 41% vs 82.9%; T1/2: 2 h vs 4.9 h). By DR ANTHONY MELVIN CRASTO Ph.D in Uncategorized on June 8, 2017 .